Is Devon leaving the Young and the Restless? This week’s Y&R spoilers revealed! 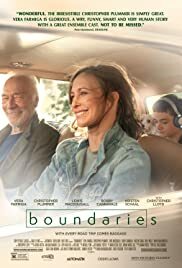 Chloé Robichaud Introduces Her Film "Boundaries"
Single mom Laura (Farmiga), along with her awkward 14 year-old son Henry (MacDougall) is forced to drive Jack (Plummer), her estranged, care-free pot dealing father across country after he's kicked out of yet another nursing home. The road trip veers off course when Jack decides to make a couple 'stops' and Henry asks to see his ne'er-do-well dad Leonard (Cannavale), completely upending Laura's attempt to hold her family together and ultimately forcing her to finally see her father for the man he really is. Laura: I was thinking we might switch back to seeing each other once a month. Yeah, I'm feeling like I'm in a really good place. You know, like, I've done the work. We've done the work. We've done it. Therapist: Have you spoken with your father recently? Laura: Well, I... He called, but I did not pick up. He knows the conditions. Therapist: So you set a boundary? Therapist: That must have been very difficult for you. 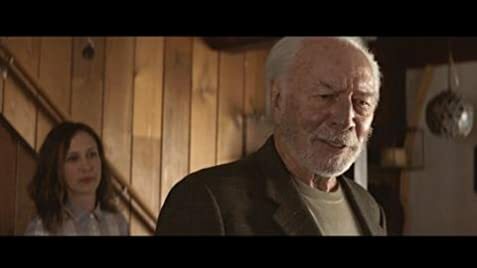 This is a road movie, I guess add it to the 450 made in the past 25 years, so perhaps people are tired of the genre. But I found it funny in more than a few spots. Not for everyone, obviously, but give it a chance, if you're in a risky, open minded mood.